With so many boats hitting the Magnetic Island Shoal area these days I decided to go do some prospecting down in the Bowling Green Bay area. Not too many people seem to head in this direction, but there has to be some good ground down that way somewhere. It's really just a matter of setting aside some time and learning to use your sounder properly. 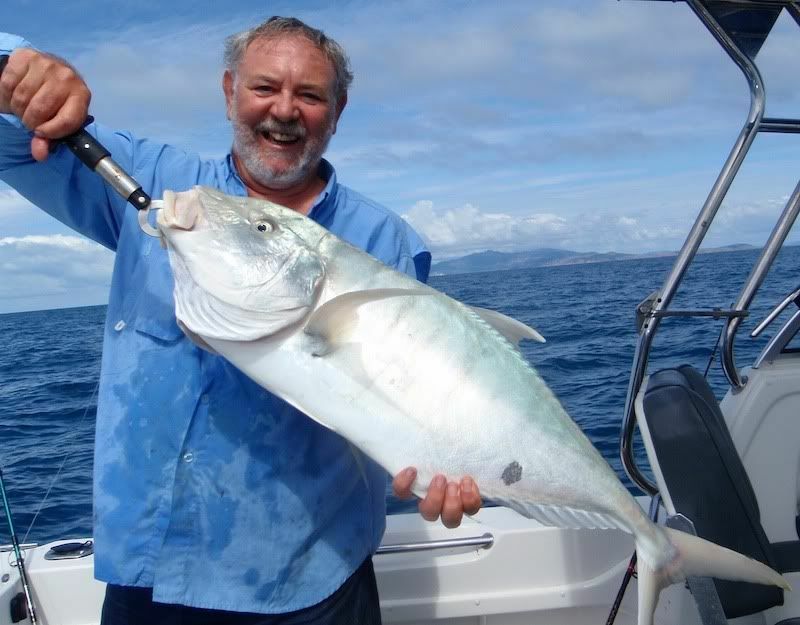 Its easy to go back to your same marks time and time again, but eventually the numbers of fish on a shoal will diminish, especially if other boats start to 'ping' your mark. So its a good idea to go looking for new ground every now and then. 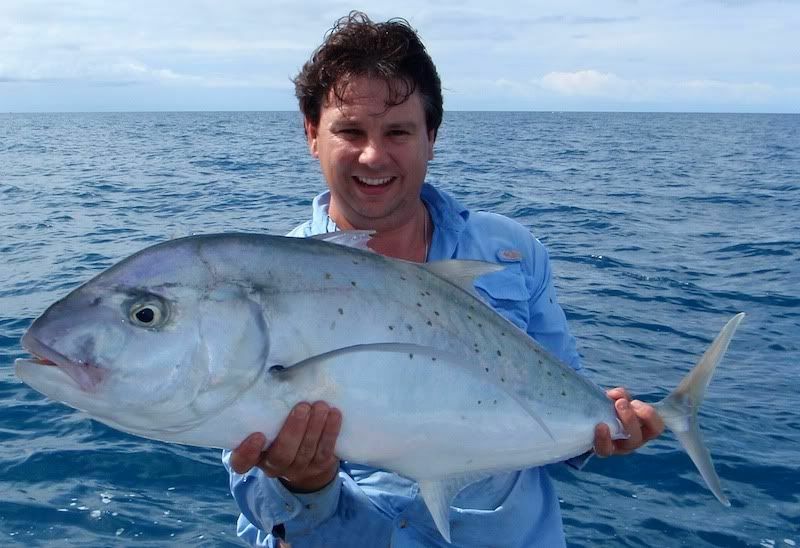 Once found, good virgin ground can produce some very spectacular fishing. I plan to write an entire article soon about how to locate shoal county, so keep an eye out for that one. Like everyone else in Townsville we hit the ramp about 4.30am Saturday morning. The parking was already full, and we were forced to park on the grass. We headed off to Cape Cleaveland and then south to an area know as "The Mackerel Patches". I have never been here before, but have heard good things about this ground in the past. It was a much rougher trip out that anticipated, and we averaged not much more than 15-18 knots. It was the slowest trip out I have had since owning a 475 Topender! Unfortunately things didn't really work out for us on these marks. We did a lot of sounding around and found some fantastic looking bottom. But fish and bait were very scarce. We caught a few under sized critters of varying variety, and managed 2 Red-throat to go in the eski. But even a bite was hard to come by. So we left here by mid morning and went in search of new grounds. We headed slightly North for a while before running over something on the sounder that looked semi-promising. Lines went down and we soon found plenty of bites. We put in a few drifts around the area, each time picking up good markings on the sounder. 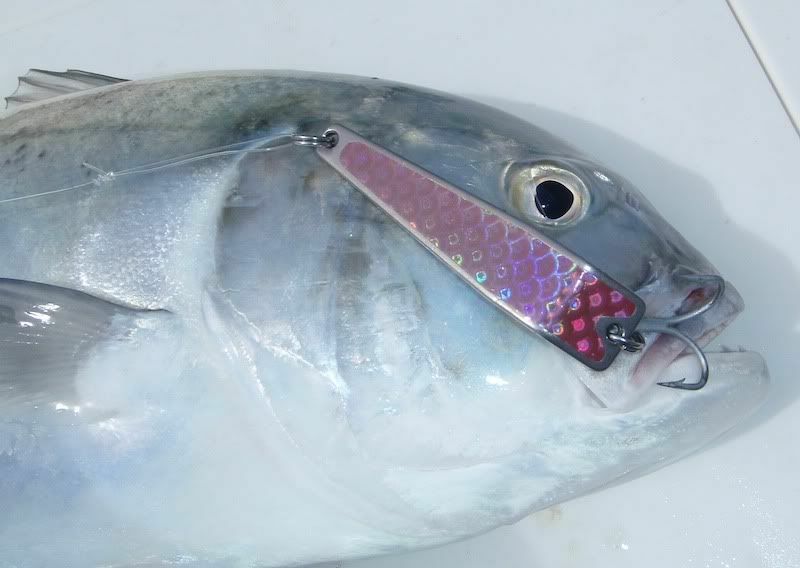 We put a few good sized Grass Sweetlip in the eski, as well as one loan thumping Doggie Mackerel. We missed a couple of good runs, but soon got sick of the small fish. Next run was to a mark I have had in the GPS for a while but never checked out before. There was one boat already here, but they didn't seem to know exactly where the spot was and were doing circles with the sounder. One pass with the SI of the Humminbird and I had the structure pinged about 20m off where my GPS mark was. Next pass and we were on it. Dad was bricked immediately, but I couldn't get a bite. There was a massive show of fish, but they just didn't seem to be feeding. Eventually I put down a large stick bait and hooked up to a good fish. But it turned out to be a Golden Trevalley. 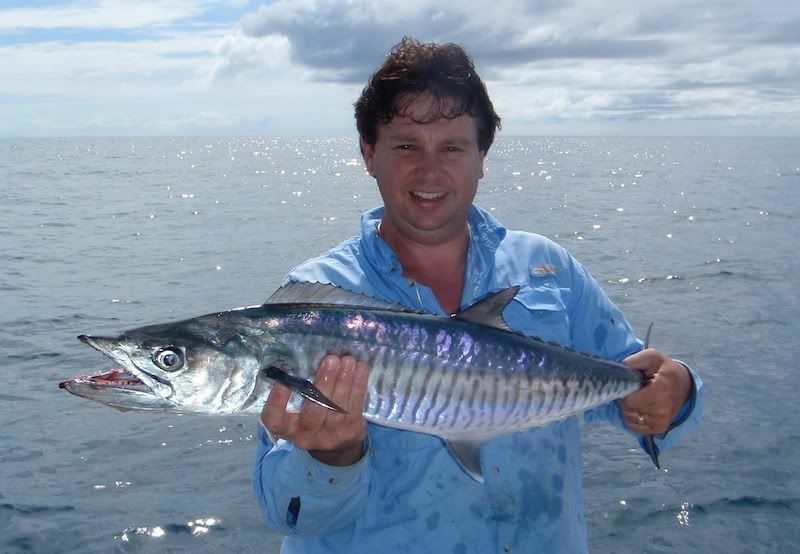 Our last chance for a good fish was on the Mackerel grounds just wide of Salamander. Lots of boats were working the area, but we found a patch a little away from the pack. Hoping for Mackerel we found the only fish willing to play were good sized Trevors. Although I did pick up one small Spanish for the eski only minutes before pulling the pin and heading home. It might have been a slow trip out, but we headed home at just on 30knots. I love the bay in glass out! Round trip of about 130lm and a big fuel bill. We had fish in the eski but didn't really find what were looking for. Maybe next time!